The 2018 World Junior Championship officially came to a close in Buffalo on Friday with Team Canada capturing gold over Team Sweden. 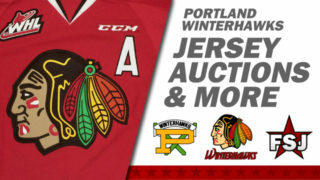 For Winterhawks fans, it was a World Juniors to remember as three Portland players had massive roles in their respective countries performances at the tournament. Here’s a quick look back at the success Kieffer Bellows, Henri Jokiharju and Joachim Blichfeld all saw during the 2018 World Juniors. 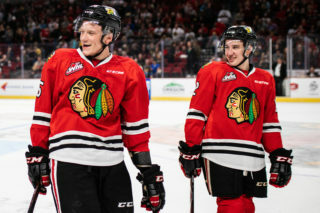 Portland Winterhawks forward Kieffer Bellows’ incredible World Junior Championship was capped off with a two-goal performance in the United States’ 9-3 bronze medal win over the Czech Republic last Friday. 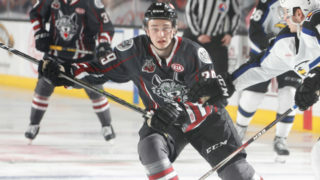 Bellows ended up with nine goals in the tournament, breaking former NHL’er Jeremy Roenick’s 1989 World Junior record for the most goals in a tournament by an American. Both of Bellows’ goals in the bronze medal game came in the 2nd period and helped open up a massive 7-0 lead for the U.S. after 40 minutes. In the third, Bellows would add an assist to extend his tournament points total to 10. Bellows’ nine goals would lead all players in tournament. 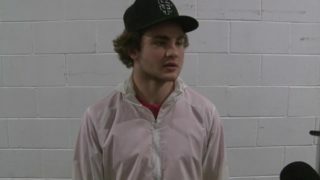 The bronze was his second career medal at the World Junior Championship, as he won a gold medal last year. Winterhawks defenseman Henri Jokiharju finished his World Junior tournament tied for the lead among Finnish D-men in points with four. His two goals in the tournament led all Finnish defenseman and Jokiharju was named Player of the Game in Finland’s 4-1 win over Denmark. In that game, he had a goal, an assist, six shots and played a game-high 23:54 minutes. He would finish the tournament with 19 SOG and a plus two rating. Jokiharju and Team Finland were eliminated from World Junior contention in the quarterfinals to the Czech Republic. Joachim Blichfeld led Denmark in goals with three in six games and was a threat to score every time he was on the ice. He was named Player of the Game in Denmark’s loss to the Slovakia where he picked up the lone Danish goal. Blichfeld scored twice in Denmark’s 5-4 win over Belarus in Game one of the relegation round. 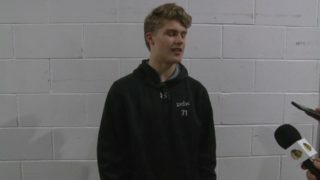 Then, with a chance to win the relegation round and give Denmark a chance to compete in next year’s World Juniors, Blichfeld picked up a goal and an assist, leading the Danes to a win. 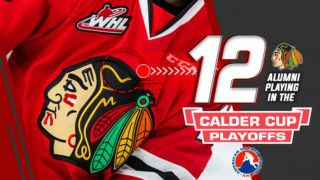 The Winterhawks next home game is this Saturday, January 13th against the Seattle Thunderbirds at the Veterans Memorial Coliseum. Tickets are available HERE!